Big things are happening at our Big Ten university. At UNL we continue to grow our research enterprise, investing in big ideas, new faculty and new facilities, and our researchers have been focused on pursuing new opportunities. These investments of time, energy, creativity and dollars are paying off. This report highlights some of our successes. UNL’s high energy physics team is leading a project to upgrade a vital component of the Large Hadron Collider, the world’s largest and most powerful particle accelerator. This instrument has helped answer fundamental questions about the nature of the universe, including finding the Higgs boson. Our Extreme Light Laboratory made a major technological breakthrough, generating synchrotron X-rays using UNL’s powerful and compact Diocles laser, and the lab has a new specialized laser and multi-user facility that will expand the experimental possibilities. One of our biggest investments, Nebraska Innovation Campus, is a rapidly growing innovation hub that is attracting private sector partners who want to share research, students and facilities. NIC’s first tenants have moved into the new Innovation Commons, and additional facilities under construction will enable our private sector scientist partners to work side by side with faculty and students. UNL’s newly funded Nebraska Center for the Prevention of Obesity Diseases through Dietary Molecules brings together experts in nutrition, genetics, biochemistry, food science, immunology and computer science to tackle one of society’s biggest challenges. This National Institutes of Health-funded center exemplifies the innovative work growing from our decade-long focus on building interdisciplinary research. Our 2014 faculty retreat focused on our current collaborations among the physical, biological, social, behavioral and computational sciences. We discussed strategies that have enabled these collaborations – transdisciplinary cluster hires, creating shared facilities and developing new centers around major challenges – and announced the Big Ideas Grants Program to support innovative research teams. At UNL our momentum is growing and we want to engage with others who are pursuing big ideas. I invite you to read this report and envision the power of partnerships forged from many disciplines and sectors. Together we can find solutions to the complex challenges facing our global community. UNL and Stanford University engineers teamed to produce the world’s fastest organic thin-film transistors. They’re now working to refine their process, which promises to broaden the potential for using this experimental technology in a new generation of transparent electronic devices, such as TV and computer screens. Using less expensive organic polymers to create semiconductors that perform as well as traditional silicon-based transistors has long been challenging. Using their new process, UNL engineer Jinsong Huang’s team and Stanford researchers created thin-film organic transistors that are more than five times faster than previously achieved with this technology. Their organic thin-film transistors perform comparably to silicon-based materials used in today’s high-end electronics. They reported their findings in Nature Communications. The U.S. Defense Advanced Research Projects Agency, Air Force Office of Scientific Research and the National Science Foundation funded the research. UNL law professor Sandra Zellmer co-authored a new book, Mississippi River Tragedies: A Century of Unnatural Disaster, which uses a series of stories to show that calling floods and other environmental catastrophes “natural” is misleading. Zellmer and co-author Christine Klein of the University of Florida uncover the larger story of how the law reflects and even amplifies ambivalent attitudes toward nature – people revere wild rivers and places for what they are, while working feverishly to change them into something else. Although acknowledging that human responsibility for unnatural disasters can lead to blame, guilt and liability, the authors conclude it can also prod people to confront the consequences of society’s actions and, hopefully, avoid future disasters. Zellmer, the Robert B. Daugherty Professor of Law, specializes in water, natural resources and environmental law. Scientists believe a virus causes many myocarditis cases, which can lead to dilated cardiomyopathy, a heart disease that accounts for nearly half of all heart transplants. With $1.4 million from the National Institutes of Health’s National Heart, Lung and Blood Institute, UNL immunologist Jay Reddy studies whether viral myocarditis is due to an autoimmune response and the mechanisms that lead the body to attack itself. Evidence suggests the body’s immune system attacks both the virus and normal heart tissue, causing heart inflammation in people exposed to coxsackievirus. Sometimes the body continues to target normal tissue after the virus is gone, which can cause severe heart damage. Reddy, in the School of Veterinary Medicine and Biomedical Sciences, hypothesizes that the immune system’s molecular targets, or epitopes, are similar in the virus and normal tissue, a phenomenon known as mimicry. Over time, healthy tissue continues to be attacked via a mechanism called epitope spreading. Understanding the underling mechanisms could lead to immunotherapies to treat dilated cardiomyopathy, reducing the need for heart transplants. In sub-Saharan Africa, most crops are produced by small-scale farmers with limited capacity to invest in fertilizer. UNL scientists have partnered with African colleagues to help farmers target fertilizer use to maximize profits and raise incomes. The project builds on previous research by UNL agronomist Charles Wortmann and Ugandan colleagues. They developed a tool that uses information, such as costs and crop area, to calculate recommended fertilizer rates for local crops and the expected effects on yields. With $5.65 million from the Alliance for a Green Revolution in Africa, the effort has expanded to 12 additional nations. UNL received nearly $346,000, while national agricultural research institutes shared the rest. Other partners include Africa Soil Information Service, the UNL-led Global Yield Gap Atlas and the Grameen Foundation. 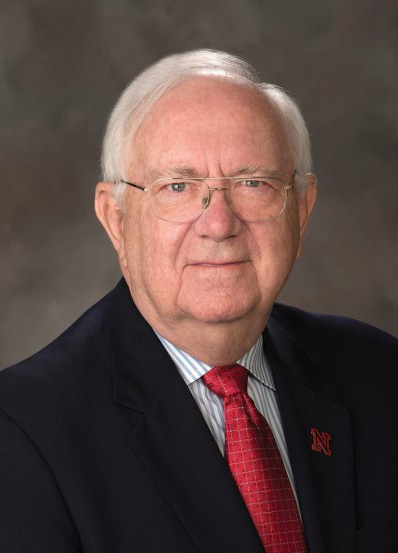 Charles P. “Chuck” Schroeder became founding executive director of the University of Nebraska’s Rural Futures Institute in fall 2013. The Palisade, Neb., native is former president and executive director of the National Cowboy & Western Heritage Museum in Oklahoma City. Previously, he was CEO of the National Cattlemen’s Beef Association, executive vice president and director of development at the University of Nebraska Foundation and director of the Nebraska Department of Agriculture. He also spent 30 years with his family’s company, the Schroeder Cattle Co., the last 10 years as owner and president. He studied animal science and business and production options at UNL. The biannual UNL Research Fair offers an opportunity to explore the university’s research priorities in greater depth, learn from national experts and engage in professional development. The fall 2013 event included symposia on defense-related research, bioproducts and biofuels, and supercomputing. The fair also featured sessions about serving on proposal review panels and professional skills development for postdocs. Featured speakers included Barry Sloane, Tyrone Mitchell and Michele McGuirl, National Science Foundation; Christopher Sarampote, NIH’s National Institute of Mental Health; Bruce LaMattina, Rutgers University; Ed Tovar, InTechSys LLC; and Shirley Malcom, American Association for the Advancement of Science. The spring 2014 event featured poster sessions that showcased research and creative accomplishments by UNL graduate and undergraduate students. UNL’s Center for Brain, Biology and Behavior, known as CB3, continues to bolster its research expertise. In July 2014, Arthur Maerlender, a concussion research expert, joined the center as associate director and research associate professor. Maerlender came to UNL from Dartmouth College’s medical school. A board-certified clinical neuropsychologist, his research interests include sports-related concussions, traumatic brain injury and learning disabilities. At UNL, Maerlender heads CB3’s concussion research program. He also works with Nebraska Athletics on concussion testing for student-athletes, and is research director for the Big Ten/CIC-Ivy League Traumatic Brain Injury Research Collaboration. Maerlender and CB3 director Dennis Molfese both were members of the National Academy of Sciences committee on sports-related concussions in youth that reported its findings in late 2013. CB3’s state-of-the-art facilities and multidisciplinary environment enable diverse studies to expand understanding of brain function and its effects on human behavior. Maerlender holds a master’s and a doctorate in psychology from Notre Dame, and master’s and bachelor’s degrees from Western Michigan University. New faculty collaborations are emerging from UNL’s 2014 Interdisciplinary Faculty Retreat. The event brought together more than 260 UNL faculty and administrators from 56 disciplines to brainstorm ideas for strategic interdisciplinary research, learn about each other’s work and hear from nationally recognized speakers. Discussions covered three major thematic areas: signaling, sensing and imaging; integrating research and practice in the social, behavioral and educational sciences; and integrating big data into research. Featured speakers included Parag Chitnis, National Science Foundation; Rashid Bashir, University of Illinois at Urbana-Champaign; Kimberly Hoagwood, New York University School of Medicine; Colleen Gabauer, Purdue University; Henry VanBrocklin, University of California, San Francisco; Ian Fisk, Fermi National Accelerator Laboratory; and Eric Lyons, University of Arizona. Researchers with the international Antarctic Geological Drilling (ANDRILL) Program serendipitously discovered a new species of sea anemone beneath the Ross Ice Shelf off Antarctica. Named Edwardsiella andrillae in honor of ANDRILL, this first anemone known to live in ice was found by a camera-equipped robot on its test voyage through the nearly 900-foot-thick ice shelf as part of ANDRILL’s mission to study ocean currents and gather environmental data. The camera unexpectedly captured a unique ecosystem living under the ice shelf, including the small, white anemones burrowed into the underside of the ice shelf, their tentacles protruding into frigid water like flowers on a ceiling. The team reported their discovery in the journal PLOS ONE. The International Institute for Species Exploration named it among the top 10 species discoveries in 2014. UNL is home to ANDRILL’s science management office. 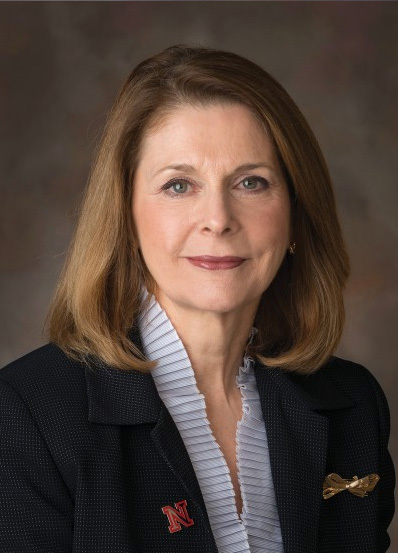 Maria Marron is the new dean of the College of Journalism and Mass Communications. She joined UNL in July 2014 from Central Michigan University, where she had been chair of the journalism department since 2002. Marron’s research specialties are journalism pedagogy, investigative journalism and health and aging issues in the media. She is editor of Journalism and Mass Communication Educator and former president of the Association of Schools of Journalism and Mass Communication. Marron earned a bachelor’s degree and postgraduate diploma from University College Dublin, a master’s degree in journalism from The Ohio State University and a doctorate in journalism and mass communications from Ohio University. Millions of software users are also programmers, writing spreadsheet formulas and creating websites. Errors are common, costing money and credibility. Tools available to help end users are cumbersome, allowing only linear backtracking, for example, and not allowing users to explore variations in designs or configurations. UNL computer scientists Anita Sarma and Gregg Rothermel, Dale M. Jensen Chair of Software Engineering, are using information-foraging theories from computer science and psychology to improve end-user tools as part of a multi-institutional project. They say reducing the likelihood of introducing error and expanding the ability to explore different versions and features will enable greater risk-taking and creativity, ultimately improving the experience and outcome. The collaborative project is funded by a $3 million National Science Foundation grant, of which UNL received $857,000. Do narcissists make good leaders? Some studies suggest narcissism begets the confidence essential for success. But new research has found that, though narcissists are more likely to attain leadership positions, narcissism and successful leadership aren’t directly related. The multi-institutional study, co-authored by Peter Harms, UNL assistant professor of management, reviewed existing literature and aggregated past and current research. It showed that bosses with extremely high or extremely low levels of narcissism are poor leaders. Those with moderate levels of narcissism achieve a balance of having sufficient self-confidence without manifesting the negative, antisocial aspects of narcissism that lead to exploitive or tyrannical behavior. Organizations should avoid hiring and promoting to cater to narcissists’ strengths, Harms said, but also should not assume low narcissism levels make better candidates. The study was published in the journal Personnel Psychology. To make chemistry education accessible to Native communities, UNL chemist Mark Griep is working with Nebraska tribal colleges to develop chemistry curricula that incorporate locally relevant topics. The five-year project is part of a pilot program, funded through the National Science Foundation and the Experimental Program to Stimulate Competitive Research (EPSCoR), targeting underrepresented groups in science, technology, engineering and mathematics. Griep also collaborates with tribal elders, community leaders, the Nebraska Commission on Indian Affairs and others to create a list of relevant topics that can be connected to tribal college chemistry experiments designed to enrich student learning. Possible topics include water, wastewater treatment, organic farming and Type 2 diabetes. Classes will first be offered at Nebraska Indian Community College in Macy, Neb., then expanded to Little Priest Tribal College in Winnebago, Neb. Griep plans to share curricula with tribal colleges nationwide. UNL is a partner in the Digital Lab for Manufacturing, a first-of-its-kind advanced manufacturing collaboration that President Barack Obama announced in early 2014. UNL representatives worked with organizers on plans for the new lab. As collaborators, UNL researchers have opportunities to work with colleagues at other universities, as well as with industry, government, state and community partners in Nebraska and nationwide. The digital lab is funded by $70 million from the Department of Defense and $250 million in commitments from its partners to form the $320 million innovation hub. Led by UI Labs, a University of Illinois-affiliated research and commercialization collaborative, the lab is based in Chicago and linked to manufacturing research sites nationwide. The aim is to harness the nation’s best research and technology to enhance American manufacturing’s overall competitiveness. The Sheldon Museum of Art’s most impressive and widely known canvases are featured in a new book, Painting from the Collection of the Sheldon Museum of Art. The book, published by the University of Nebraska Press, features reproductions of 125 major works and highlights the artistic, cultural and geographic conflicts and events that shaped more than two centuries of American painting. Scholars contributed comments and interpretations. The book includes masterpieces from the 18th through the 20th centuries by such artists as John Singer Sargent, Edward Hopper, Georgia O’Keeffe and Andy Warhol. It also features work by emerging artists like Carmen Herrera. It was published in honor of the 50th anniversary of the museum’s landmark Philip Johnson-designed building and the 125th anniversary of the Sheldon Art Association. Sheldon’s comprehensive collection of American art includes 12,000 works in all media. The 2013-2014 Nebraska Lectures: The Chancellor’s Distinguished Lecture Series featured an educational psychologist and an English professor. Susan Swearer, Willa Cather Professor of Educational Psychology, presented “Creating a Kinder World: Empowering Youth to End Bullying.” A nationally known bullying expert, Swearer discussed her research on the complex personal, social and cultural factors underlying bullying – and how to end it – during her fall lecture. Stephen Behrendt, George Holmes University Professor of English, presented “What Good Are the Humanities, Anyway?” His spring lecture addressed the value of imagination and how it inspires critical thinking and new ideas. The Office of the Chancellor, Research Council and Office of Research and Economic Development, in collaboration with the Osher Lifelong Learning Institute, co-sponsor these lectures featuring prominent faculty. Judy Diamond, Concetta DiRusso, Sherilyn Fritz, Alan Kamil, David Sellmyer and Charles Wood were named American Association for the Advancement of Science Fellows in 2013. It was the first time six UNL scientists were elected fellows in the same year. Diamond, professor and curator of informal science education at the University of Nebraska State Museum, was recognized for distinguished contributions to promoting scientific literacy. DiRusso, professor of biochemistry, was honored for advancing understanding of nutritional fatty acids and for education advocacy. Fritz, George Holmes Professor of Earth and Atmospheric Sciences, was recognized for distinguished contributions to paleolimnology and paleoclimatology. Kamil, George Holmes Professor of Biological Sciences, was recognized for distinguished contributions to research into animal behavior and cognition. 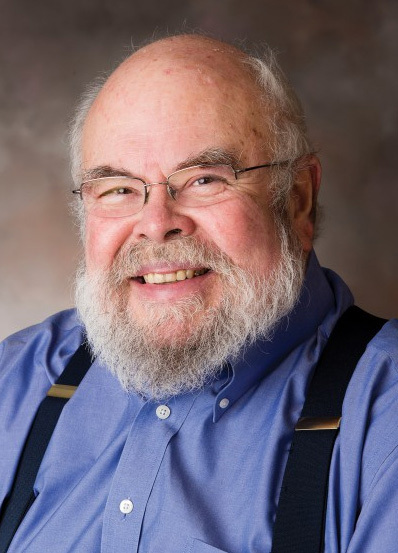 Sellmyer, George Holmes Professor of Physics, was honored for distinguished contributions to the physics of magnetic materials and nanostructures and for his leadership as director of UNL’s Nebraska Center for Materials and Nanoscience. Wood, Lewis Lehr/3M Professor of Biological Sciences and director of UNL’s Nebraska Center for Virology, was recognized for significant contributions to molecular virology and HIV/AIDS epidemiology and to building global scientific capacity. Concetta DiRusso, professor of biochemistry, is a 2014-2015 Jefferson Science Fellow. DiRusso is known for her work to understand nutritional fatty acids and their impact on human health, including diabetes and other diseases commonly linked to obesity. The National Academies program gives fellows the opportunity to spend one year in Washington, D.C., as advisers on science and engineering policy issues to the Department of State and U.S. Agency on International Development. 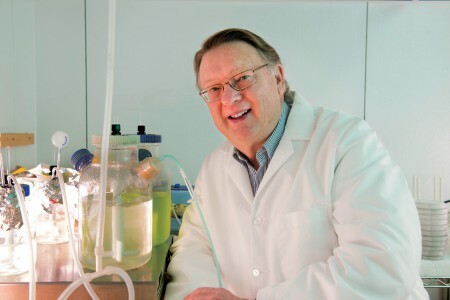 Biochemist Donald Weeks was named a National Academy of Inventors Fellow in 2013. The distinction is a high honor bestowed on academic inventors whose inventions improve quality of life, spur economic development and benefit society. Weeks, the Maxcy Professor of Agriculture and Natural Resources, was recognized for contributions in plant and algal biology, especially his novel approach to engineering herbicide-resistant crops. He holds 10 U.S. patents and 22 international patents. Weeks’ selection marks the second year members of the UNL faculty have been named NAI Fellows. The Fulbright Program offers UNL scholars opportunities to grow in teaching and research. 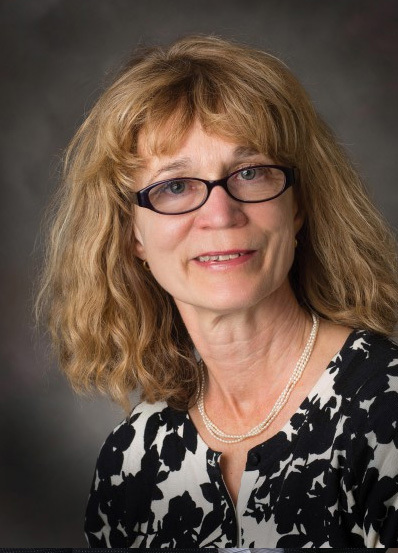 Carole Levin, Willa Cather Professor of History, will spend the spring 2015 semester in York, England, studying the Celtic queen Boudicca’s leadership style and her connections to modern female political leadership. 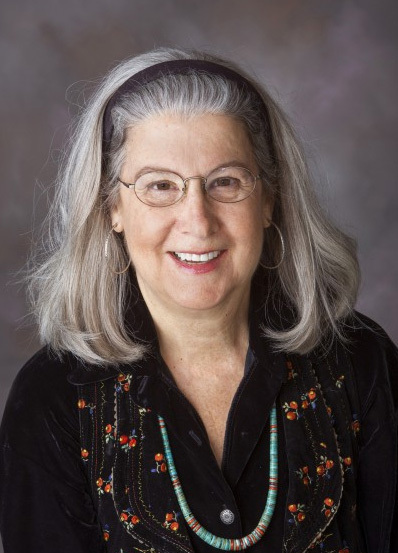 Wendy Weiss, emeritus professor of textiles, merchandising and fashion design, received a Fulbright-Nehru Senior Scholar grant to travel to Gujarat, India, to study development and design of the ikat print. Gary Kebbel, professor of journalism, and Sriyani Tidball, assistant professor of practice in advertising and public relations, earned Fulbright Specialist grants. Kebbel is helping the U.S. Mission to the African Union, based in Ethiopia, draft a strategic communications plan. In January, Tidball will work with the Centre for Women’s Research in Sri Lanka to form a communications strategy for helping migrant workers stay in touch with their families. Tyler White, professor of composition and conducting, won a Global Music Awards silver medal in composition for his opera O Pioneers! that reimagined the Willa Cather classic novel in musical form. He also was a finalist for The American Prize in Composition in opera/theater/film. 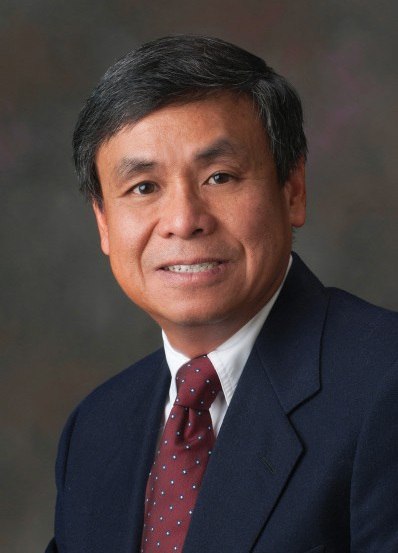 Xiao Cheng Zeng, Ameritas University Professor of Chemistry, was named a Fellow of the United Kingdom’s Royal Society of Chemistry. Zeng has made groundbreaking discoveries using computer modeling to reveal how matter behaves under extreme conditions, and in computer-aided molecular and materials design. Gregg Rothermel, Dale M. Jensen Chair of Software Engineering, earned 2013 Distinguished Scientist and Distinguished Member honors from the Association for Computing Machinery for significant accomplishments in computer science. Rothermel’s research areas include application of program analysis techniques, software maintenance programs and end-user software engineering. Two UNL faculty members became American Mathematical Society Fellows in 2013: John Meakin, Milton Mohr Professor of Mathematics, and Srikanth Iyengar, Willa Cather Professor of Mathematics. Meakin was selected for contributions to semigroup theory and leadership in UNL’s mathematics department. Iyengar has lent his expertise in commutative algebra to numerous international research collaborations. UNL has a strong tradition of mathematics excellence, with five researchers joining the inaugural class of AMS Fellows in 2012. Cory Forbes, associate professor of science education in the School of Natural Resources, received the 2014 Early Career Research Award from the National Association for Research in Science Teaching for his potential to significantly contribute to science education. Forbes has studied third-grade students’ learning about biological structure and function and the hydrologic system, and teachers’ implementation of curricula to help students learn about water and food systems. UNL’s research expenditures totaled more than $266 million in 2013, the most recent fiscal year for which expenditure information is available. This total included more than $98 million in federal research expenditures. The National Science Foundation accounted for 30 percent of UNL’s federal research expenditures, followed by 17 percent from the U.S. Department of Health and Human Services, including the National Institutes of Health, and 13 percent from the Department of Defense. UNL’s goal is to achieve $300 million in total research expenditures by 2018, with at least half coming from federal agencies. The University of Nebraska-Lincoln is a Big Ten research university driven by the spirit of innovation and exploration to tackle vexing challenges, apply knowledge-fueled solutions, move technologies from lab to marketplace, share the excitement of discovery with students and forge lasting partnerships across the globe. This is the web companion to the 2013-2014 Report on Research at UNL. The stories, photos, videos and other information you’ll find here offer glimpses into the diverse research, scholarship and creative activity at the heart of UNL’s growing research enterprise. Produced by UNL’s Office of Research and Economic Development, this site and the printed report highlight our successes, our progress and our aspirations. A major breakthrough, a new specialized laser and expanded research space are advancing the University of Nebraska–Lincoln’s laser science capabilities, a longtime research strength. Using UNL’s powerful, compact Diocles laser, Extreme Light Laboratory researchers discovered a way to vastly shrink the space needed to produce synchrotron X-rays, expanding the potential uses for these high-quality X-rays. UNL laser research got a boost in 2014 with the opening of a collaborative laser lab housing Archimedes, a new specialty laser. The cover photo shows the Diocles’ target chamber. The brilliant, colorful burst of light results from laser light interacting with nitrogen gas, which produces an electron beam.